Google Earth can travel us all over the world, the Moon, and Mars. 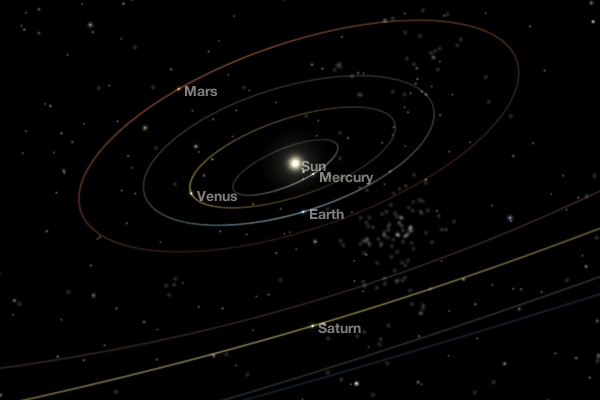 For the rest of the Universe, the "NASA's Eyes Visualisation" app takes us on a computer-generated tour of earth, the Solar System, and Exoplanets, using real NASA spacecraft data, including Pluto's approach by the New Horizons probe. Want to see more space? 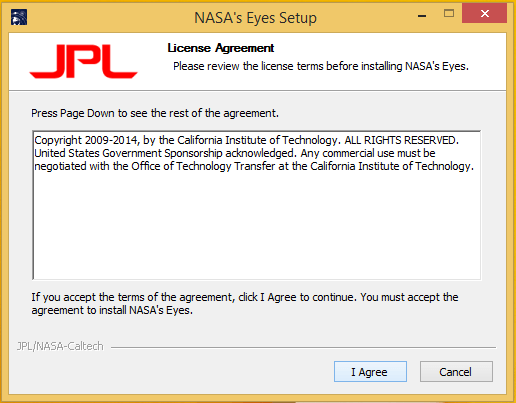 We will find the NASA's Eyes Visualisation application on its official website http://eyes.jpl.nasa.gov/. The installation is simple and it won't attempt to install any third-party apps to our system. We would be really surprised if it did. 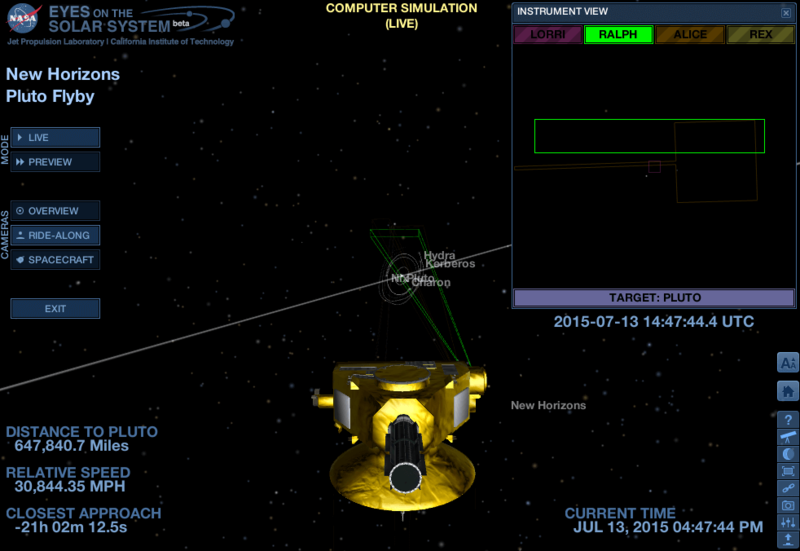 The most current and topical part of the NASA's Eyes Visualization application is the "Eyes on Pluto" module. In less than a day - at the time of this writing - the New Horizons probe will be the closest any man-made device has been to the dwarf planet Pluto, after a nine-year trip that covered more than three billion miles. To understand how vast this distance is, light from the Sun, which reaches Earth in about 8 minutes, takes around 5,5 hours to reach Pluto at its average distance. And it is traveling at the literal top speed in the universe. 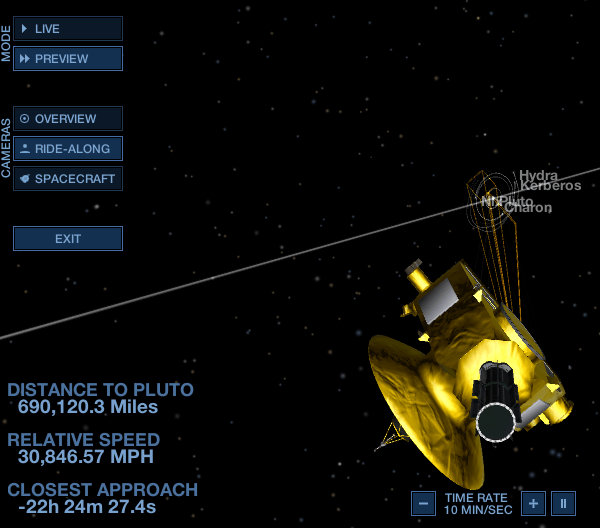 Entering the Eyes on Pluto module, the default view shows the New Horizons approaching Pluto at nearly 31,000 miles per hour. Since there are still hundreds of thousands of miles to be covered, it is slowest than watching paint dry. 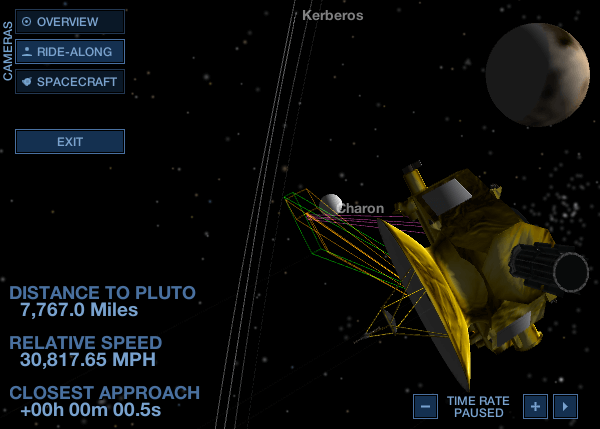 On the Instrument View window we see the view from the telescopic camera, two spectrometers, and the passive radiometer on the New Horizons. To make things more interesting, we can select the "Preview" mode. By default it speeds up the whole process 600-fold, by covering 10 minutes in a single second. We can also increase or decrease that rate - up to 1 hour per second - set it in reverse, or pause for a nice picture. 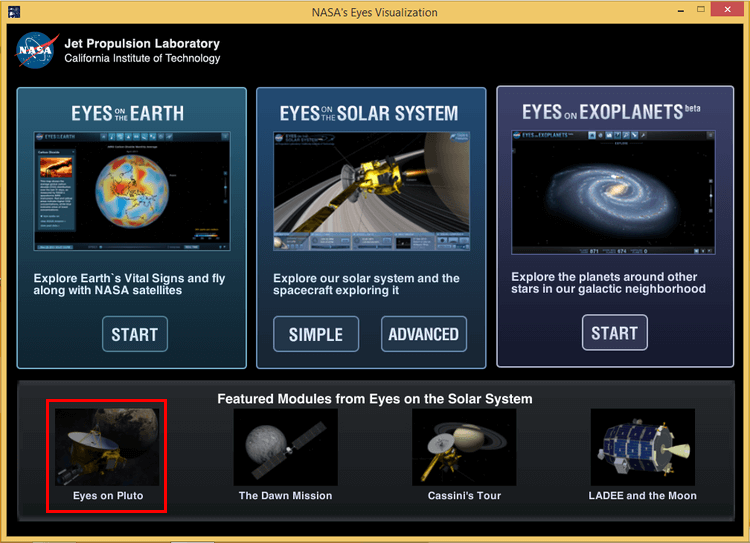 The Eyes on Pluto is just a module, one of the multiple available within the NASA's Eyes app. 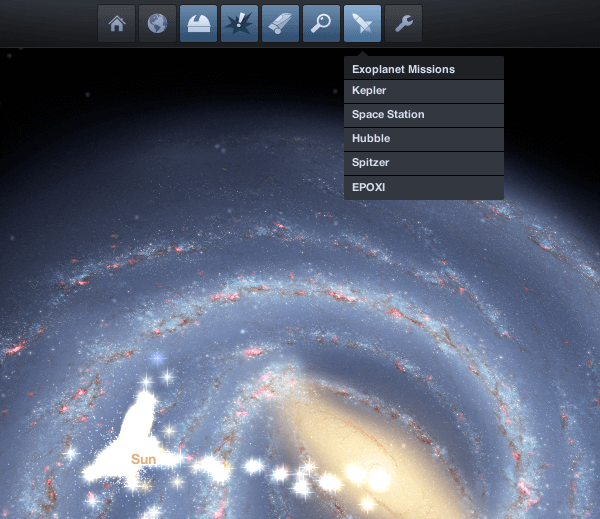 Outer space aficionados have a lot to explore within the application. ...with information and stats for each one of them. 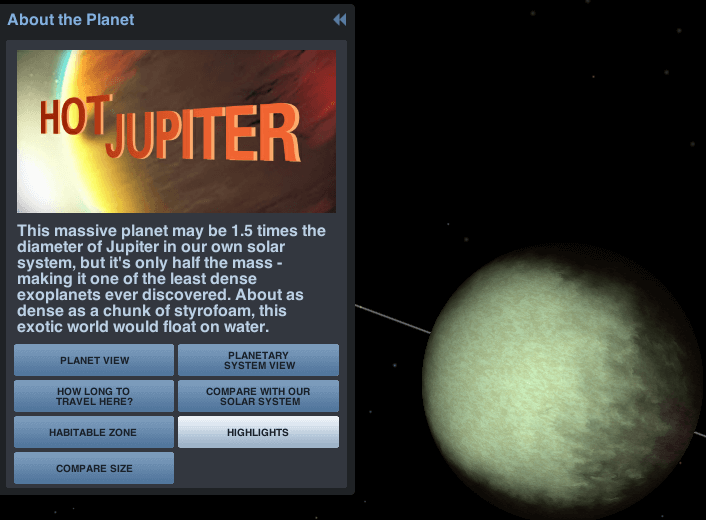 ...or weird planets, 1,5 larger than jupiter but dense as styrofoam. 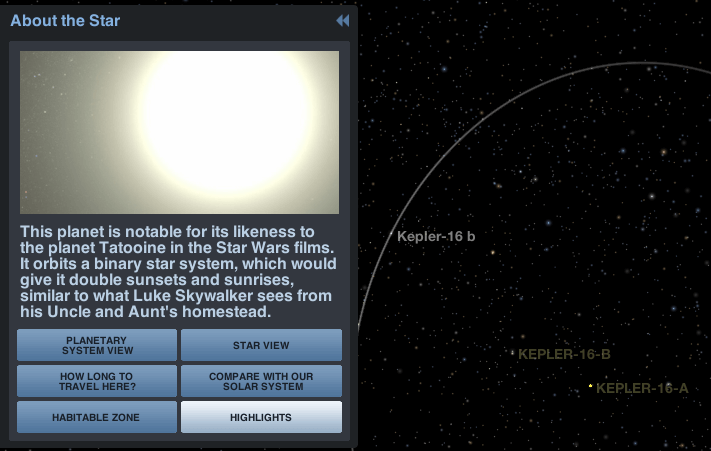 What about a planet with two suns, like Tatooine in the Star Wars films? 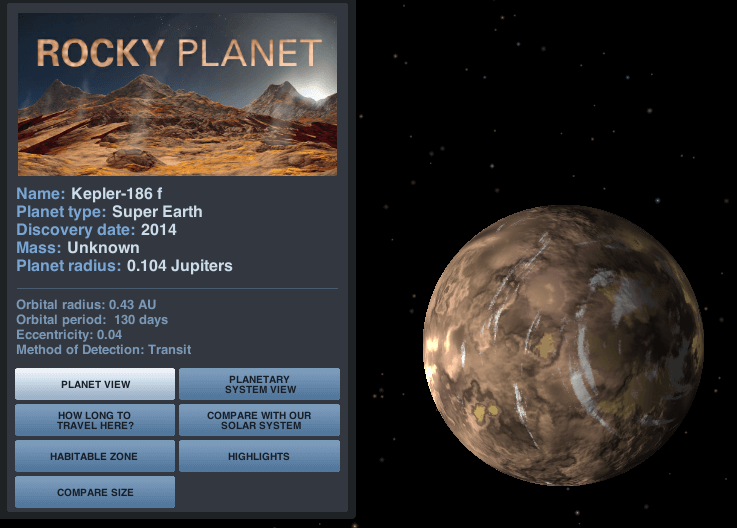 With the help of the navigation menu, we can find the latest discoveries, the most extreme planets, and the results of specific exoplanet missions. 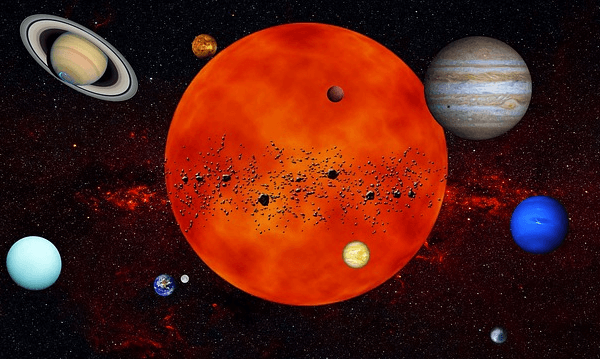 After looking at styrofoam and two-star planets, how interesting can Earth be? 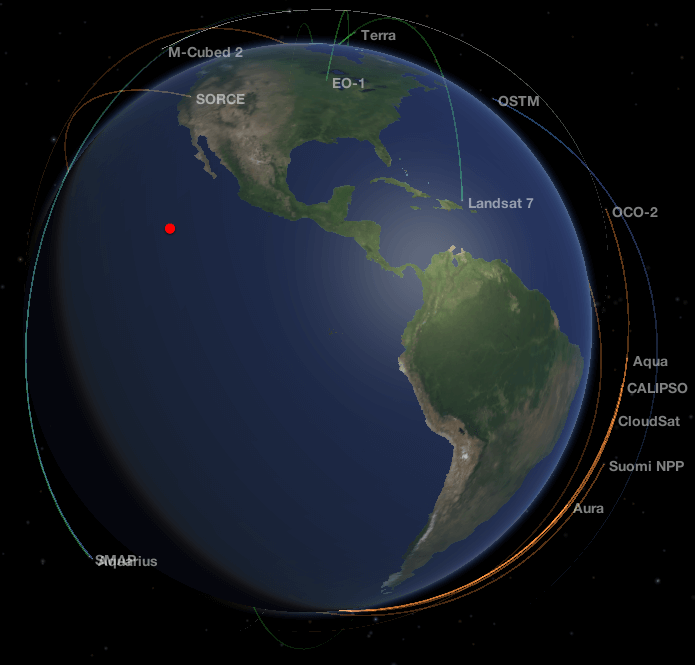 Well, NASA's Eyes will show the trajectories of important scientific satellites, with information for each one. 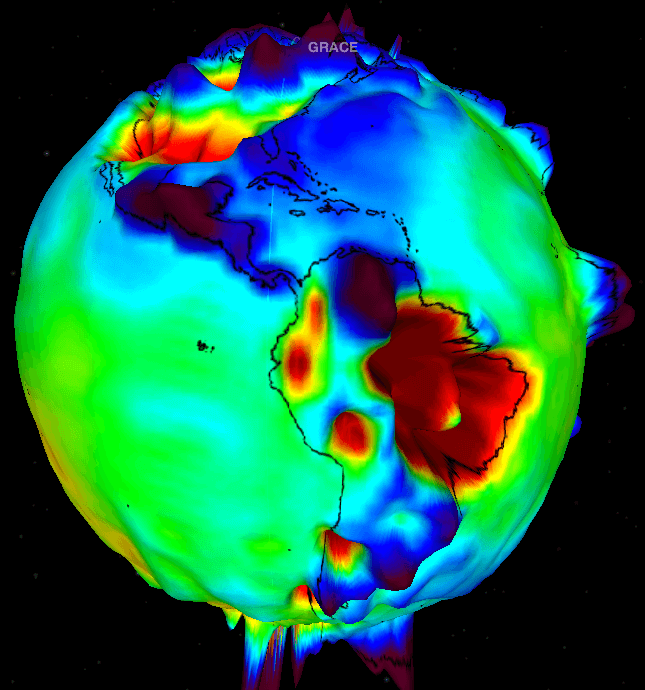 We can also select cool measurements, such as the changes in Earth's gravity field, used to track the movement of water and ice. 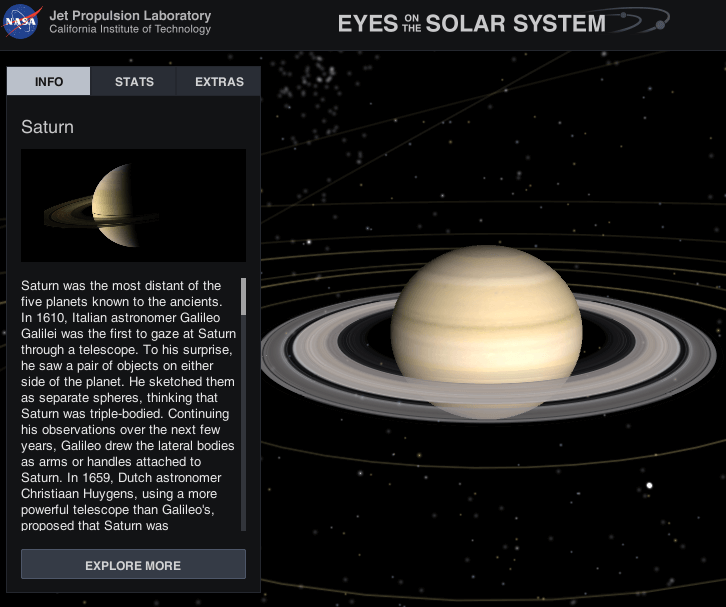 NASA might be the undisputed expert on outer space, but there are tools other than NASA's Eyes to see and learn about our Solar System, like http://www.solarsystemscope.com/, and a Solar System built to scale, with all the correct distances between the planets. 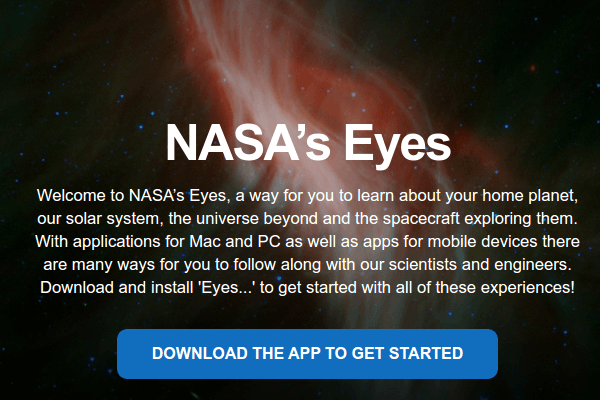 Did you like NASA's Eyes and the other tools? 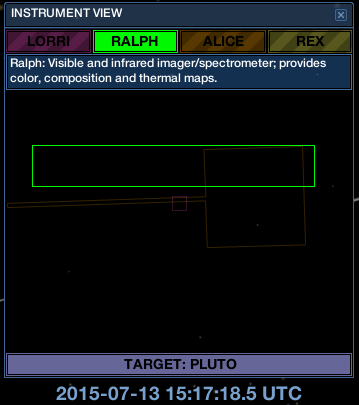 Do you know any other good tools for fans of outer space? Leave us a comment.